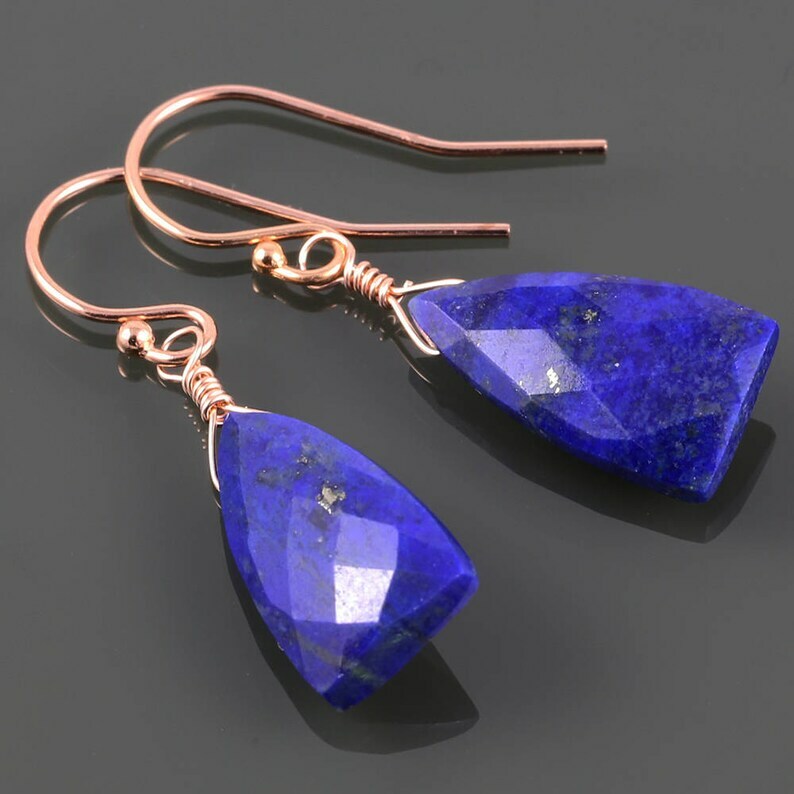 These earrings each have a single genuine lapis lazuli gemstone. The lapis lazuli is a bright cobalt blue color in a unique faceted triangular cut. The stones measure about 8x15mm. These earrings have 14/20 rose gold-filled ear wires, and they measure about 1-3/16 inches (3.1cm) in length from the tops of the ear wires. Stunning - my favorite earrings! Very lovely Hessonite Garnet earrings! The unique triangle gemstones and rose gold filled ear wires work so nicely together! These pretty earrings sparkle and glow! Many thanks Michele, for your elegant creations and always excellent service! Genuine Aquamarine Earrings. Rose Gold Filled Ear Wires. March Birthstone. Small Drop Earrings.